Who will say that sustainability is difficult to maintain in a residential house? Well there are many people who are having a hard time maintaining the essence of sustainability in their house. While there are some who can say that sustainability is one big factor that we are always taking care of in our house. I will say that I am also a conscious homeowner when it comes to the sustainable factors that I need to retain in my house. 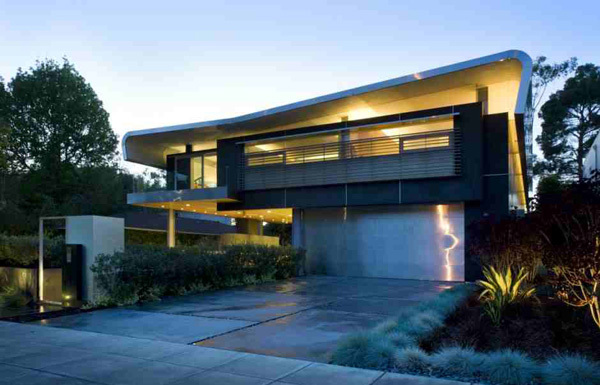 That is why today I will be sharing to you a house design that emphasizes the advantage of sustainability. 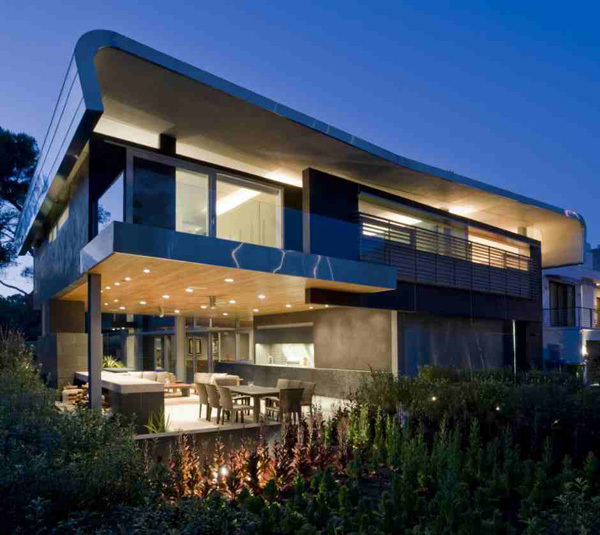 This house is called Hover House II built in Venice, California. The designer of this house provides PVC cool roof technology, high efficiency mechanical systems, window shading, sustainable wood finish and structural products and minimization of long term refinishing. 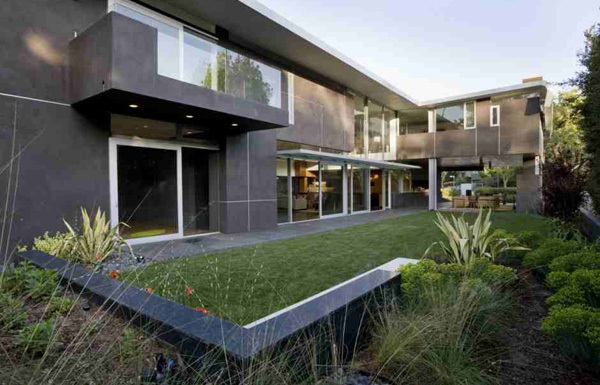 Also the maintenance of this project employs to meet the architect’s high sustainability standards. The concept of this house project actually proposes that the resource intensive interior space can be substituted with the exterior’s similar refinement and amenity. Now let us check how the designer made these sustainable functions of the house become possible through the images below. Incredible shapes and curves of the house building together with the concrete and stainless materials used here can be visibly seen even at late afternoon. 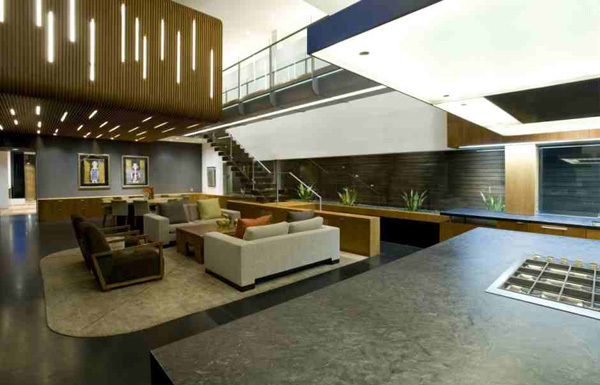 Well-lighted and spacious living area exposed the durable and classy furniture that projects a trendy mood in the house. 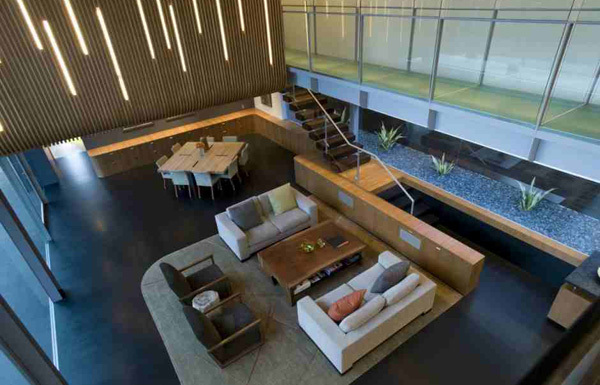 See how this wood and glass materials utilized in the indoor provides a very comfortable and relaxing zone to stay in. Free access of sunlight in the living space is maximized by the designer to reduce the electricity consumption. Designer ensures the function of the plants in the interior that adds attraction in every corner of the house. 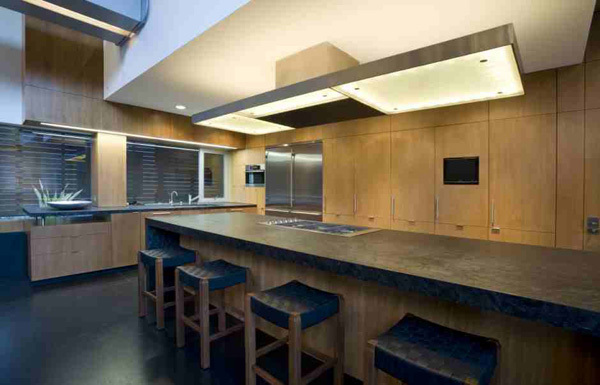 Black palette and natural wooden brown color of the cabinets and floor in the kitchen bare its great style and concept. 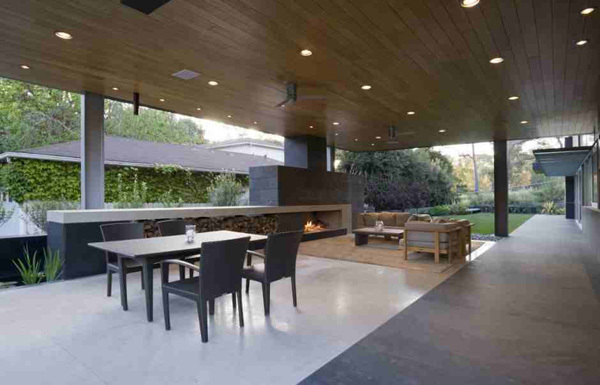 Arrayed lights installed in the ceilings uncover the luxury and charm in the patio area. 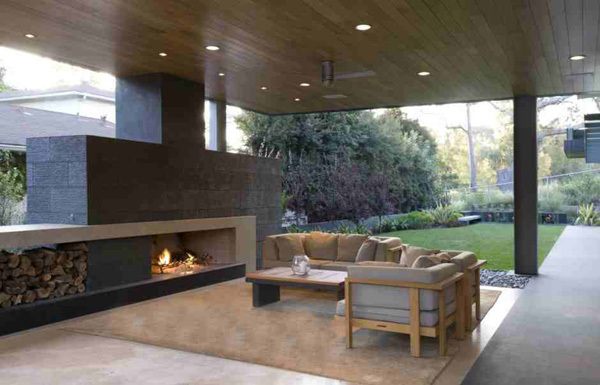 Fireplace is built in the open living space in the garden that add to its modern features. 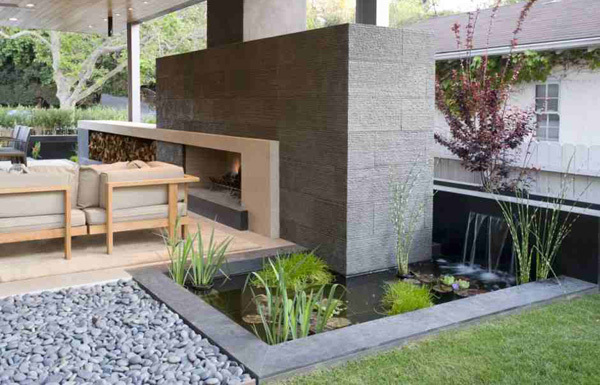 Artificial mini waterfalls is installed in the garden that makes this area comfortable and refined. At the second level of the house, the glazed materials allow the sun’s light to access the other parts of the room. 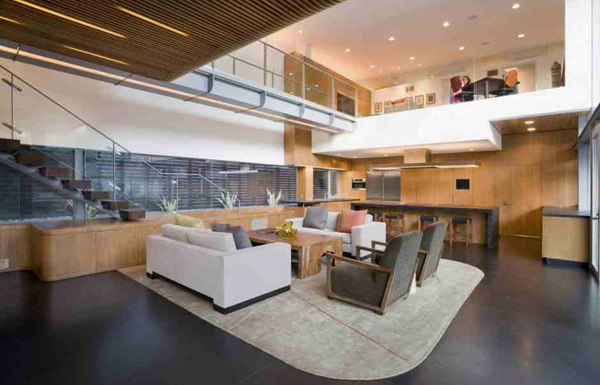 I truly admire the details and well-arranged furniture in the living space on the ground level of the house. The glazed frame in the stairs and second floor is enough to make all its parts visible. 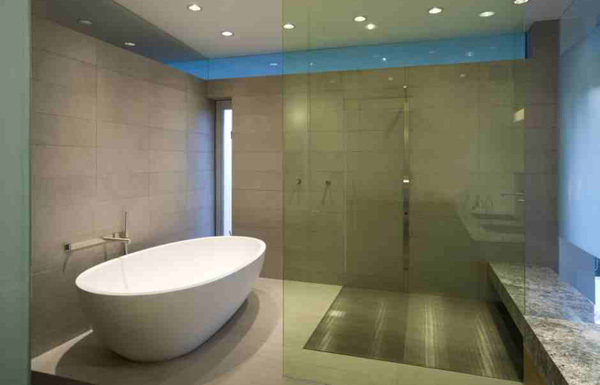 Dim lights installed in this spacious and transparent bathroom stressed comfort and relief. What a healthy environment it is! All your stress may be relieve as you witness the beautiful garden in the morning. The incredible curve in the roof undeniably defines its artistic and modern design. As you can see from the selected pictures taken by Derek Rath above, you may be inspired of how the designer practically connected the exterior to the indoor designs. 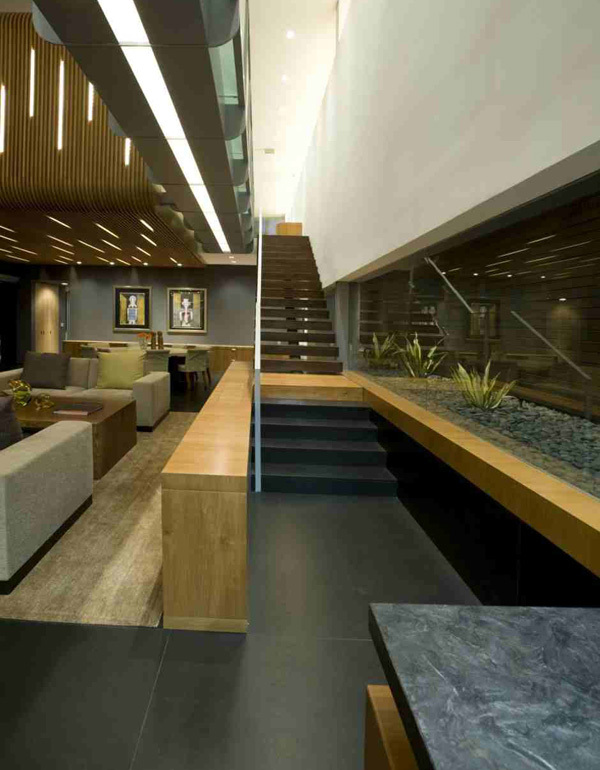 The materials used in the interior are very effective to let the sustainable factor flow in each corners of the house. Definitely the Glen Irani Architects successfully integrated the most important factor of sustainability in this Hover House II design. We hope that you have learned something new today from the house ideas and inspirations that we have shared to you.